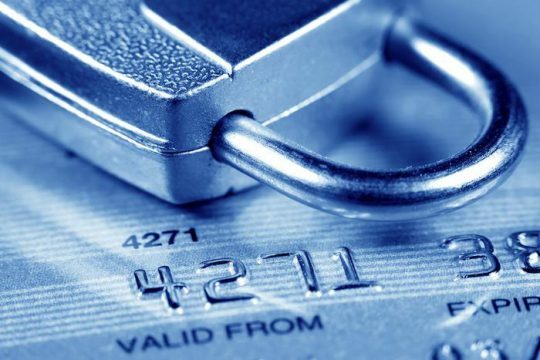 How Do Online Casinos Secure Transactions? Mobile phones nowadays can be used for many things. A lot of activities that took a lot of time and energy in the past can now be done instantly, thanks to the powerful mobile phones that practically all of us have. Just imagine when you had to be near a computer, or even worse, have to go to a store in order to buy something. When it comes to entertainment the options are truly limitless. A lot of people these days play online casino games for real money or for fun on their Android phones. A lot of online casino operators realised that mobile casino gaming would be such a success, so they were quick to develop a mobile Android version of their online casinos, either as a native Android app, or by optimising their website for mobile browsers, or even both. Visit AndroidCasinoApps.org if you want to find out which are the best Android casino apps for Australian players. The introduction of online casinos more than 20 years ago and the more recent mobile casinos have enabled players a much more comfortable and hassle-free casino experience. People are no longer required to drive, often hundreds of miles, to an online casino. Instead, they can sit at home (or anywhere if they’re using their mobile phone) and choose whatever casino they like and whatever game they like. Online casino gaming involves transfer of information via a virtual channel. Some of these information, like the address, date of birth, and especially bank account and credit card number of the players are very personal and it is extremely important that it is protected and that third parties won’t be able to obtain in. Online casino operators have to ensure that the transactions which are made through their website or application are safe and secure and that nobody will be able to obtain and misuse any personal information. Information also must not be shared with anyone. One general rule is that online casino which are well-known can be considered reliable and trustworthy. They have usually been around for quite a while, have plenty of customers and can’t afford to risk it all, by being unreliable. Every online casino has to use encryption software in order to conceal and keep your financial data safe. There are various encryption technologies which can be used, such as SSL and TSL. At most online casinos you will be able to see a logo of the encryption technology that is used. The encryption technology, to put it simply, translates your financial information into code language in a way that only the operator will be able to discover the information concealed behind the code, whereas possible intruders won’t be able to decipher it. Moreover, additional IT security has to be used, so that all the data that is already stored by the operator can’t be obtained by anyone else. Most online casinos use a level of encryption and online security that is up to the standards of the leading financial institutions, so there’s nothing to worry about. Most online casinos offer a variety of payment methods that can be used to deposit to and withdraw from players’ accounts. If there’s a payment method that you trust more, or would prefer, then simply look for a casino that offers that particular method. Most casinos accept payments from major credit/debit cards, such as Visa and MasterCard. Credit cards are still considered to be the most reliable online casino banking method. The transactions are secure and fast and players are usually able to withdraw money to the same account from which the initial deposit was made. Popular e-Wallets such as Skrill (visit), Neteller and PayPal are also accepted and are quite safe and reliable. Other methods like bank wire transfer, pre-paid cards and plenty of locally available banking options are also accepted at many casinos. Another clear way to figure out whether an online casino is compliant with security standards is to check whether the operator has obtained a valid licence. Depending on the country in question and its regulations, there are certified government bodies that issue such licences. In the UK, for example, the UK Gambling Commission is in charge of issuing online casino licences.